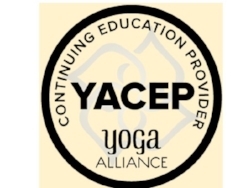 Handout: How Do I find a Trauma-sensitive Yoga Class? The Body Keeps the Score: by Bessel van der Kolk, MD. 2014. Survivors of Trauma and How They Heal by Belleruth Naparstek and Robert Scaer. 2004. In an Unspoken Voice: How the Body Releases Trauma and Restores Goodness by Peter A. Levine, PhD. 2010. When the Body Says No: Understanding the Stress-Disease Connection by Gabor Mate, M.D. 2003. Trauma-Proofing Your Kids by Peter Levine and Maggie Kline. 1997. Kitchen Table Wisdom, Rachel Naomi Remen, MD. The Emotional Life of Your Brain by Richard Davidson. 2012. Train Your Mind, Change Your Brain by Sharon Begley. 2007. Help for the Helper: The Psychophysiology of Compassion Fatigue and Vicarious Trauma by Babette Rothschild, 2006. Trauma Stewardship: An Everyday Guide to Caring for Self While Caring for Others by Laura van Dernoot Lipsky. 2009. Yoga: Overcoming Trauma through Yoga: Reclaiming Your Body by David Emerson et al. 2011. Yoga Skills for Therapists: Effective Practices for Mood Management by Amy Weintraub, 2013. Yoga from the Inside Out: Making Peace with Your Body Through Yoga by Christina Sell, Hohm Press, 2003.